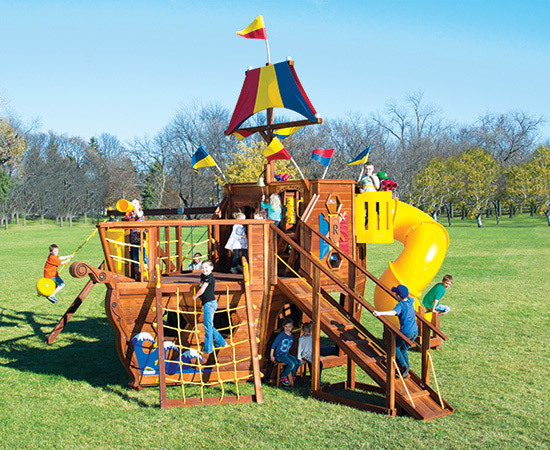 Between pirate ships and cozy Clubhouse cabins, the Rainbow special order line offers our most unique, one-of-a-kind custom swing sets. There are unlimited and imaginative possibilities, especially when it comes to building and designing your very own Rainbow swing set. 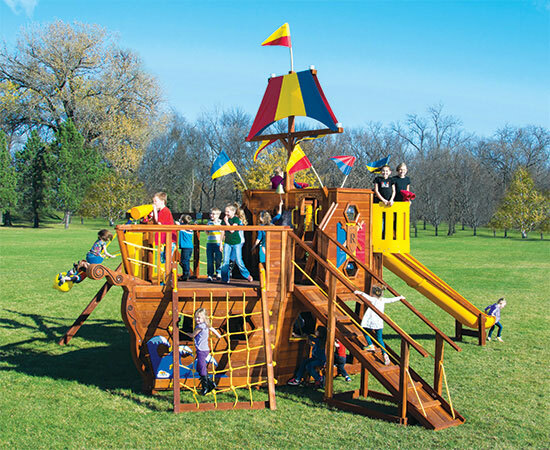 Visit a showroom near you to get started on creating your child’s dream swing set!